Shivaram Hariram Rajguru was born in village Khed in Maharashtra on 24th August, 1908. He was a great warrior in the history’ of Indian freedom struggle. The freedom of his motherland was the only aim in his life. He was determined to make the supreme sacrifice for his country. Nevertheless, he always retained his jovial nature, even in the face of adversity. 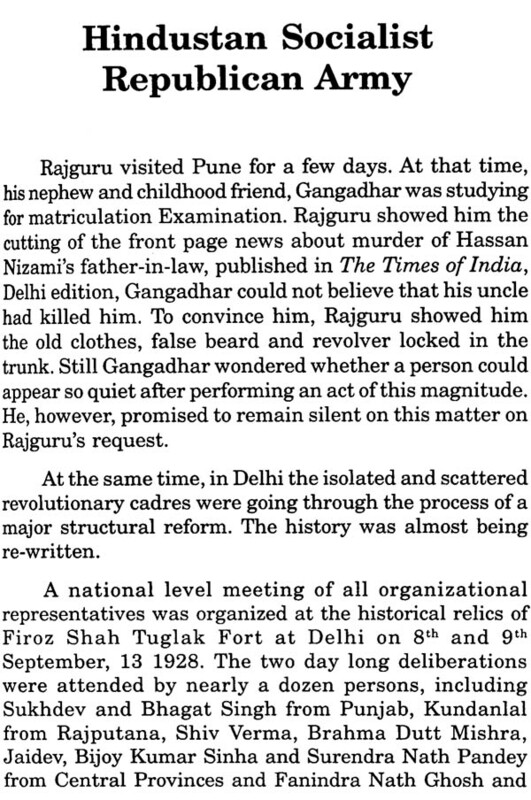 This book is not only Rajguru’s biography, but also provides a deep insight into the struggle faced by the revolutionaries. Though the British Government managed to hang Bhagat Singh, Sukhdev and Rajguru on 23rd March, 1931, they still reign over the hearts and minds of millions of Indians. Reading books has been a passion for me. 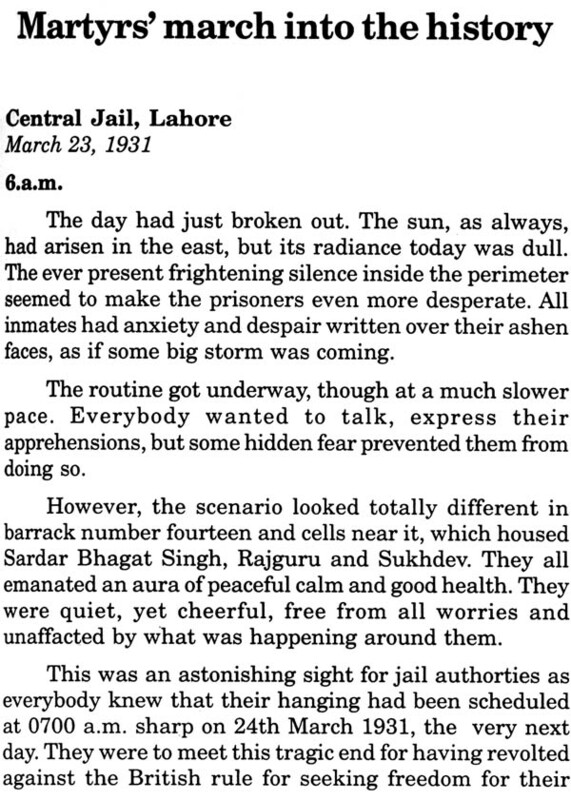 Early at the aze of ten, I happened to read Sansmratiyan, written by late Shiv Verma, a great revolutionary, who was awarded life imprisonment in the famous Lahore Conspiracy Case. This book enthused me to explore further about the lives of the great patriots, who dared all sufferings and finally the gallows viz. Bhagat Singh, Rajguru and Sukhdev. My grandfather, Shri Motilal Verma, was a great patriot and freedom fighter. He was jailed twice — once during the ‘Namak Satyagrah in 1931 and next during the ‘Quit India Movement’ in 1942. The British Government confiscated all his property, making him a destitute. But he continued his struggle, working as an underpaid Munshi and managed to buy back the two hundred year old ancestral house. The house is still there in Katni, a city in Madhya Pradesh. Dr. Rajendra Prasad, who later became the first President of India, had visited this house in 1935. Though my Baba was a Gandhian, he never hesitated in extending support to the revo1utionaries. 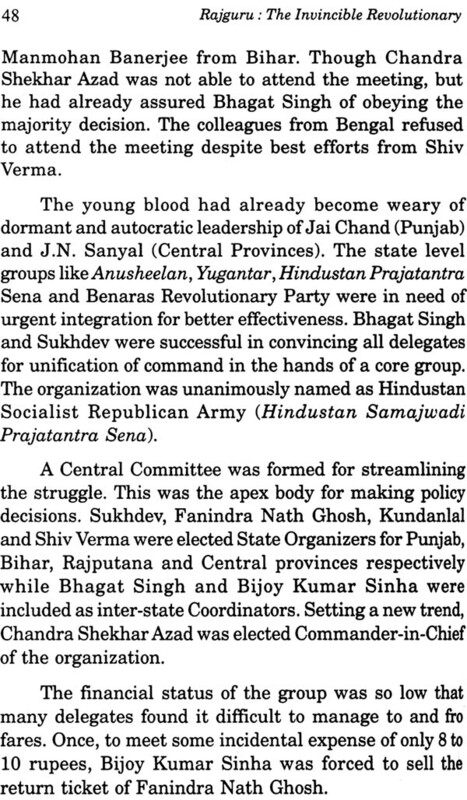 He had met the great revolutionary Chandra Shekhar Azad twice. He provided a safe passage to Azad from Katni to Jhansi in 1928-29. Azad, at that time, remained underground and moved to different places to avoid arrest the British rulers. My Baba’s another meeting with Azad was on the banks of holy river Ganga while he was practising shooting with his Mouser, aiming at the fishes frolicking in water. Being issueless, my Baba adopted his nephew, my father, Shri Koushal Kishor Verma as his inheritor. The moving tales narrated by him filled my heart with immense respect for these selfless sons of the nation. Later in 1994, I had the luck to meet Shri Surendra Nath Pandey, a colleague of Chandra Shekhar Azad, Bhagat Singh and Raj guru and one of the prime accused in the historical Kakori and Lahore Conspiracy Cases. He was quite old and debilitated, but still retained clear recollections of his revolutionary career. The discussions with him stimulated me further to gain more insight into the life of these great men and disseminate the knowledge to all, by putting my observations in writing. I started collecting all available literature on the revolutionaries; I visited National Archives, New Delhi several times and managed to procure copies of various rare documents. The National Archives is a treasure house of Indian history and barely 10% of the knowledge available in the records has reached us. 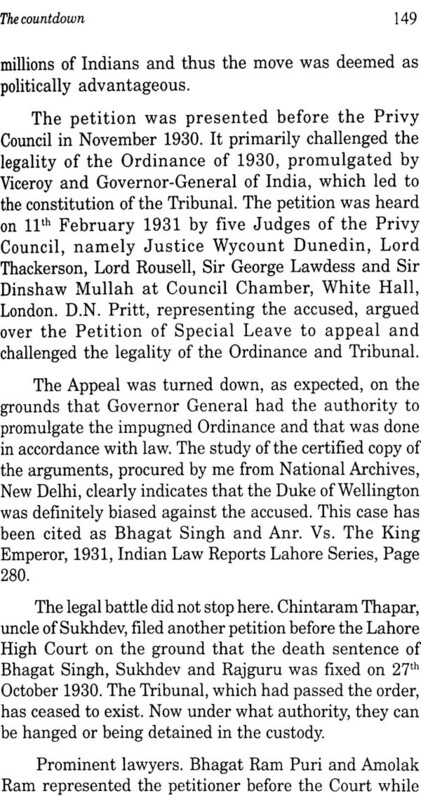 Here, I would like to commend the British, that despite having the opportunity to destroy all records at the time of leaving India in 1947, they maintained their integrity and honesty towards the history and did not tamper with the records, leaving them for an impartial scrutiny by the future generations. Though many of the files relating to British India have been preserved at British India library, London, but most rare files are still available at the National Archives. I am deeply indebted to Shri J.K. Jam, ex-Rajya Sabha M.P., Shahdol for his cooperation in getting me the copies of important documents like papers relating to the trial of Lahore Conspiracy Case, judgments and documents pertaining to Government of India, Punjab Government and Jail etc. between the years 1928 to 1930, m the National Archives. In Lucknow, a memorial and Freedom Fighters Research Institute, has been established at the house of Durgadevi Vohra (popularly known as Durga Bhabhi), wife Bhagwati Charan Vohra, both being great revolutionaries. I visited the facility several times to rather invaluable information from the rare books. Puja Saxena, the then Librarian, deserves my special thanks for her help. In May 2003, I happened to meet Sardar Kultar Singh, Bhagat Singh’s brother and a revolutionary himself, of Saharanpur (U.P). It was really an honour to before such a great soul. He and his son, Kiranjeet Singh. enlightened me with highly privileged information on the great martyr. At the same time, I was fortunate enough to visit Bhagat Singh’s ancestral village, Khatkarkalan, in Jullundur district (Punjab). I was so moved at the sight of his personal belongings at Shaheed Bhagat Singh Rashtriya Sangrahalaya. My motivation made me to visit, village Badaraka, district Unnao (U.P), aricestra1 village of Chandra ShekharAzad. Khed (now called Rajguru Nagar), district Pune (Maharashtra), the birth-place of Rajguru, Shaheed Upwan at Mirzapur and red Park (now called Chandra Shekhar Azad Park), Allahabad, where Azad was martyred. The visit to these centers was like a pilgrimage to me. I visited Hussaniwala, at the International Border near Ferozepur (Punjab) to make my offerings at the memorial of Bhagat Singh, Rajguru and Sukhdev. I can not find the words to express how I felt there. I shall always treasure those moments. I took a firm resolve to pay my homage by writing a book on the eve of birth- centenary of Bhagat Singh and Rajguru. I shall always feel the distress of not having written a treatise on Bhagat Singh. I feel it is my duty to narrate as to why and how I decided to write a book on Rajguru. There is no doubt about Bhagat Singh being the torch bearer among all the freedom fighters, and he has always retained his popularity in any era due to his towering personality and excellent communication skills. 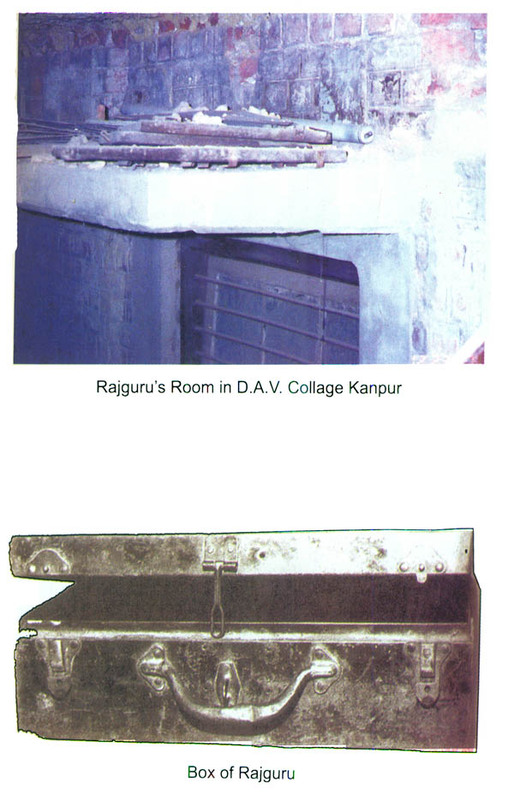 Rajguru and Sukhdev, who shared the same scaffold, do not deserve to be treated as inferiors but somehow, their contribution has not been acknowledged adequately by the historians writing on the history of freedom struggle. Jag Mohan, Bhagat Singh’s nephew and an eminent writer, states that it is wrong just to celebrate the birth-centenary of Bhagat Singh alone. 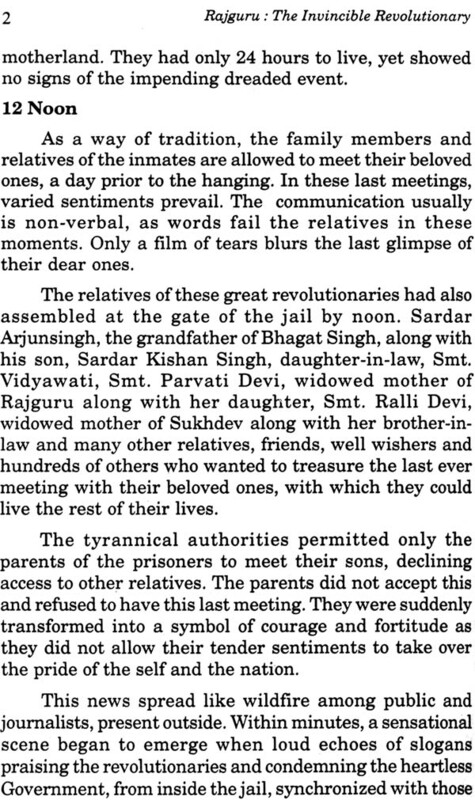 Mother Vidyadevi, his grandmother and Bhagat Singh’s mother, always maintained that no picture could be complete by including her son only, as Bhagat Singh, Sukhdev and Rajguru lived and sacrificed themselves for their nation together. She always kept Rajguru’s Sholapuri shoes and Sukhdev’s kulla along with the personal belongings of her son. Many authors have written books on Bhagat Singh. Mathura Prasad Thapar, brother of Sukhdev, wrote a book to preserve his memories. Unfortunately, Rajguru has not received enough attention from authors. He is only mentioned as one of the comrades of Bhagat Singh. In reality, he was a Karmayogi, always working selflessly and never expecting any credit or praise in return. Everybody would agree that he always longed to sacrifice himself for his nation. The desire to see his motherland free had peaked beyond fanaticism. If there was some job involving the risk to life, Rajguru was always there to volunteer in the first place. Sadly, Rajguru could not attract the attention of authors and film makers. He was even neglected in his own city and state. I was deeply aggrieved at not finding a single memorial at Khed, his birth place. 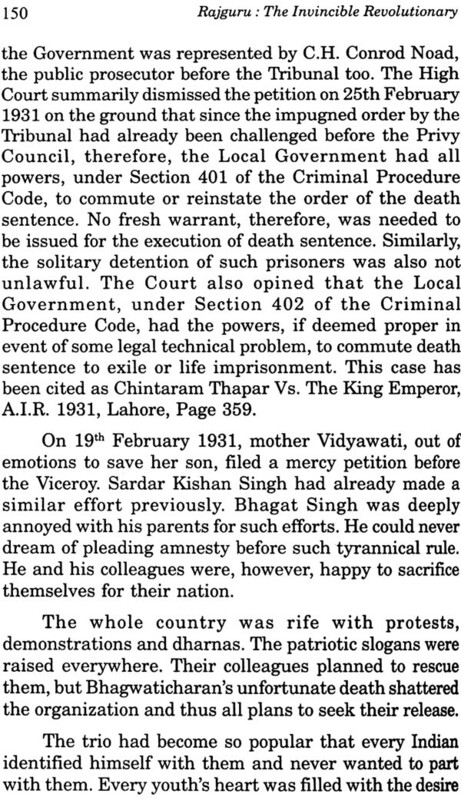 This was the fact, which inspired me to dare write a book on this great martyr. I have made a sincere effort not to show disrespect for the judicial system, while discussing the proceedings of the Lahore Conspiracy Case. The conspiracies set up and the subsequent misuse of the judicial procedures by the British, is in itself indicative of the state of judicial system during that era. 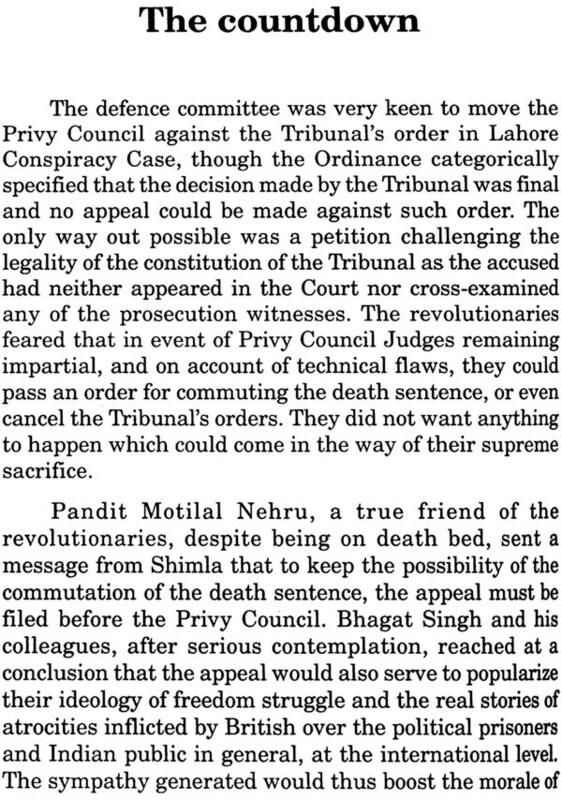 My respected father, Mr. Koushal Kishore Verma, retired District and Sessions Judge, has offered his blessings and guidance by helping me to write the paragraphs regarding the Lahore Conspiracy Case. Though, Shri Motilal Verma, Shri Surendra Nath Pandey and Sardar Kultar Singh have left this world for heavenly abode, I always feel their blessings are with me. I am deeply indebted to Mrs. Anjana Verma, my wife, Mr. Manoj Morgode, my close associate, Mr. Ranjan Nagpure, the typist and Mr. Anil Nagpure for graphics, without whose contributions this book would never have the light of the day.